Divorce has obvious tax consequences. The most apparent is that each partner probably will be filing, at least for a while, returns as single taxpayers or heads of households instead of jointly. These different filing statuses immediately affect such things as tax rates and standard deduction amounts. Some tax break requirements also are determined by filing status. Filing issues can crop up even before a divorce is final. When a couple is going through the process, they sometimes opt to file separate returns. This could be costly since joint returns generally produce a lower tax liability that do separate 1040s filed by a husband and wife. However, in some situations, separate returns could produce a better tax result. In these cases, the couple’s best move is to compute their tax bill both ways to determine the most advantageous. Dependent decisions when children are involved, tax considerations get a bit more complicated. Taxpayers know well the value of dependents. Each dependent provides the filer an immediate subtraction from taxable income of several thousand dollars. But the tax break is allowed only if the dependent meets IRS eligibility requirements and those could change during and post-divorce. Other tax breaks, such as the child tax credit, educational deductions and credits and the dependent care credit, also are based on the taxpayer’s claim to the dependent. Generally, a taxpayer must provide most of the support for the dependent in order to take most tax breaks. However, in divorces, when that support is provided by the noncustodial parent, such payments do not necessarily mean that the parent is allowed tax breaks associated with the child or children. Rather, where the child spends most of his or her time, i.e., with the custodial parent, prevails when it comes to taxes. In amicable divorces, it’s not usual to see ex-spouses trade off the child dependency exemption. They can do so, and claim related tax breaks each tax year by filing IRS Form 8332. When there are several children involved, divorced parents sometimes split the dependent exemptions; tax experts, however, say this generally is not a good move. If one spouse’s income is substantially higher than the other spouse’s income, for example, each ex-spouse will be worse off because they will have missed a chance to maximize tax savings. Consult with your personal tax advisers to determine the tax-saving value of the exemption or exemptions for each spouse. The party who benefits most should claim all the exemptions and consider compensating the other spouse. Divorce decrees spell out which party gets what were previously joint assets. Such new, single ownership, however, can create some tax issues. When considering an asset as part of a settlement, don’t just look at its dollar value. An asset’s tax consequences could make a big difference as to whether you want it as part of the property division. For example, a couple decides to split a tax-deferred retirement account and a regular investment account, each worth $100,000. The ex-wife takes the retirement fund; he keeps the other account. But when she starts taking retirement distributions, she’s likely to face a large tax bill on the tax-deferred money. He, however, is in much better financial shape because the regular account has been paying taxes incrementally over the years. A property’s cost basis also could make a tax difference when an asset is sold. And don’t forget the house, usually a couple’s largest asset. If you sell it as a couple, there is no tax on up to $500,000 in profit. But a single seller only gets half that exclusion amount. 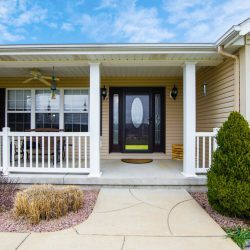 If both parties agree to sell the home, the best tax move might be to dispose of it before the divorce is finalized so they can take the larger sale exclusion. 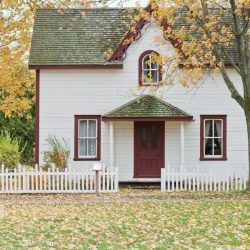 If one spouse gets sole ownership of the home after the divorce, the reduced exclusion for a single taxpayer could produce a tax bill if the property has appreciated greatly over the years. There also are tax issues if both parties, although divorced, retain ownership into the home. To exclude sales profit, you must live in the house as your principal residence for two of the past five years when you sell; for the spouse that moves out, the house must be sold within three years after that departure date. If it’s not sold by then, the nonresident spouse could face taxes on any sale profit. Alimony is tax-deductible for the person paying. For the recipient, the payments are taxable income.Both parties, therefore, need to keep complete and accurate records to document their payments and receipts. Without sufficient documentation, the payer may lose the alimony tax deduction. And because the recipient’s Social Security number will be reported on the paying taxpayer’s return, the recipient must ensure that he or she reports the same amount to the IRS as income. Child support is never tax deductible. Neither does it count as income to the custodial parent receiving the payments on behalf of the child.